It’s the holiday season and you’re trying to find the perfect item for that special person on your list. You’ve searched the malls, but you’ve come up with nothing. You can shop online, but where’s the fun in that? Why not tour the boutiques, shops, and attractions around the Cumberland Valley to finish your list? Everyday beginning on November 21st through December 12th, we’re giving you a calendar of gift suggestions for everyone on your list! And even better…we’re giving them away! Beginning on Saturday, November 21st, we’ll be posting items that you can find in the Cumberland Valley (some exclusively) on our Facebook and Twitter pages. Not only can you find these suggestions, you can win them! Just like, share, comment, or retweet for your chance to win each day’s prize (see a complete list of rules at the bottom). Gifts include a kids bicycle from Holmes Cycling & Fitness, a one-night stay at Carlisle House Bed & Breakfast, a Titleist driver from Armitage Golf Club, a necklace from Meeka Fine Jewelry, and so much more. Check back as we reveal each new item every day and remember to support local businesses on Small Business Saturday on November 28, 2015. 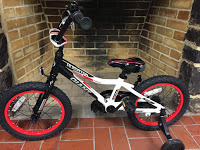 Shopping for a young boy or girl still learning to ride a bicycle? 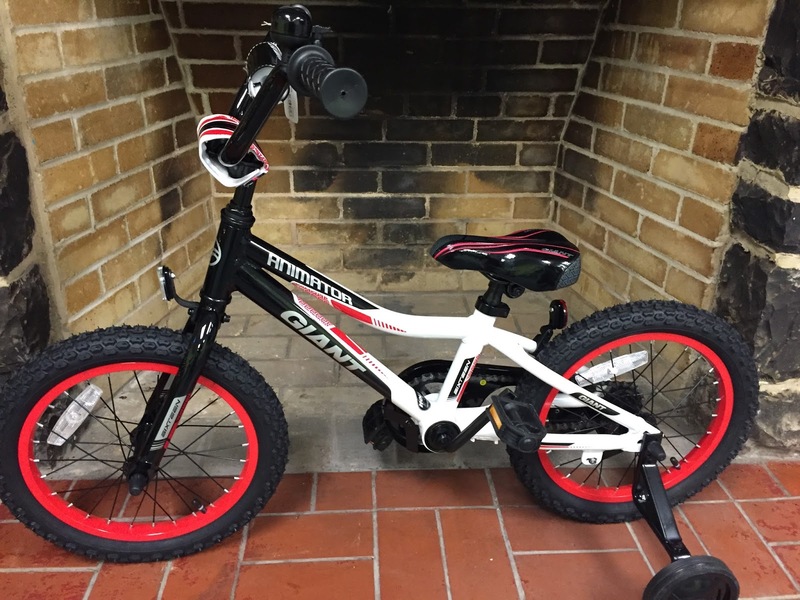 This bike from Holmes includes training wheels for your youngster. The bike is black, red, and white, but if you prefer a different color, Holmes will allow you to exchange the bike. You can see their entire selection for all ages at their Camp Hill store. 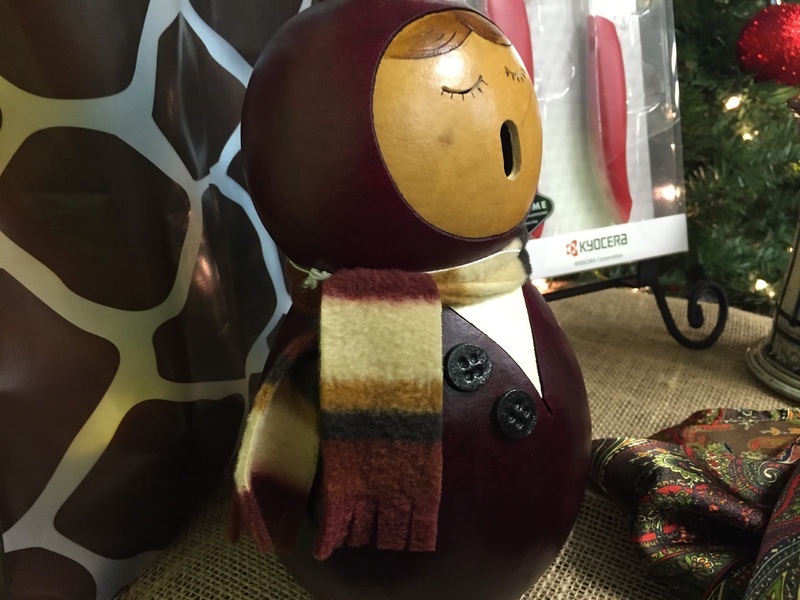 Decorating for the holidays is one of the best parts of the season and there’s no better décor item than the Christmas and winter-themed gourds from Meadowbrooke Gourds. Made famous for appearing on Mike Rowe’s “Dirty Jobs”, these gourds will enhance any holiday theme. Meadowbrooke is the largest gourd manufacturer in the world and these hand-crafted items are created in the Cumberland Valley. You can find this gourd for under $30 and see their entire selection at their Carlisle store. One Good Woman in Camp Hill is known for its coffee and tea selection, but today’s item adds a little something to your wrist. 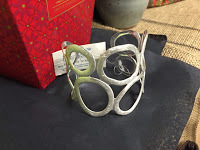 This cuff bracelet will make any woman feel appreciated this holiday season and you can pick this up for under $20. The Cumberland Valley has a host of fantastic restaurants throughout the region. Only one can be named Best in the Valley and the Boiling Springs Tavern has won that distinction three years in a row. Give the gift of a superb meal at this rustic tavern, once owned by Anheuser-Busch. 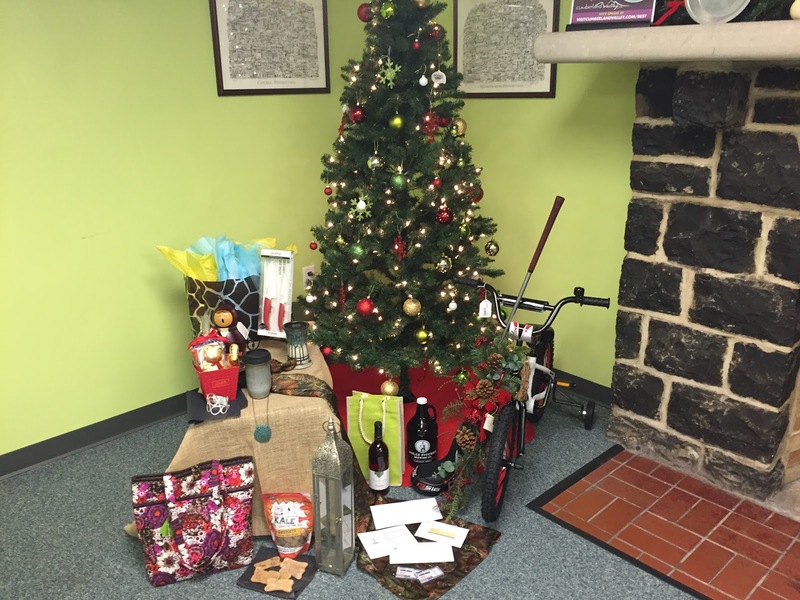 You can win a $75 Boiling Springs Tavern gift certificate in this year’s Gift Guide Giveaway. The Luhrs Center at Shippensburg University is celebrating their 10th season with rock legends, comedians, and family fun entertainment. Performers still planned for the 2015-2016 season include Paul Anka, Three Dog Night, Jack Hanna, and Larry Gatlin & The Gatlin Brothers. The 2016-2017 schedule will be announced in 2016, but a gift certificate to upcoming show is a great gift to spend the night out. See their upcoming shows here. Enter today to win an $80 gift certificate for yourself or someone on your list! The holiday season means plenty of delicious meals with family and friends. We all know that one person who slaves in the kitchen preparing the meal after meal. This ceramic knife set from the Kitchen Shoppewill make any cook&apos;s time in the kitchen a treat. 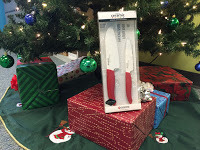 This knife set goes for $65. Stuff the stockings with everyone&apos;s favorite treat...chocolate. The Lindt Chocolate Factory Outlet in Carlisle is filled with wall-to-wall chocolate and waiting for you stop by pick-up sweets for everyone on your list. Enter the Gift Guide contest to win a Lindt Chocolate bundle! What woman doesn&apos;t love jewelry as a present? 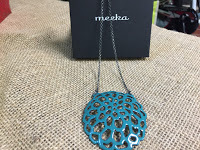 Give her something one-of-a-kind from Meeka Fine Jewelry. Their selection of necklaces, rings, bracelets, and earrings truly special for that special lady on your list. The necklace shown goes for about $200, but you can win it on 11/28 by entering the Cumberland Valley Gift Guide. Wreath&apos;s are a holiday decor must and are great gifts to family and friends. The Whimsical Poppy in Mt. Holly Springs has a large selection of hand-crafted wreaths. Enter to win one on 11/29 on the Cumberland Valley Facebook and Twitter page. You may not be shopping for Tiger Woods, but if you&apos;ve got a golfer on your list, this one&apos;s for you! The Cumberland Valley has many great golf courses, which you can always buy gift certificates for. Golfers also love new clubs, like this Titleist driver from Armitage Golf Course, valued at $200. 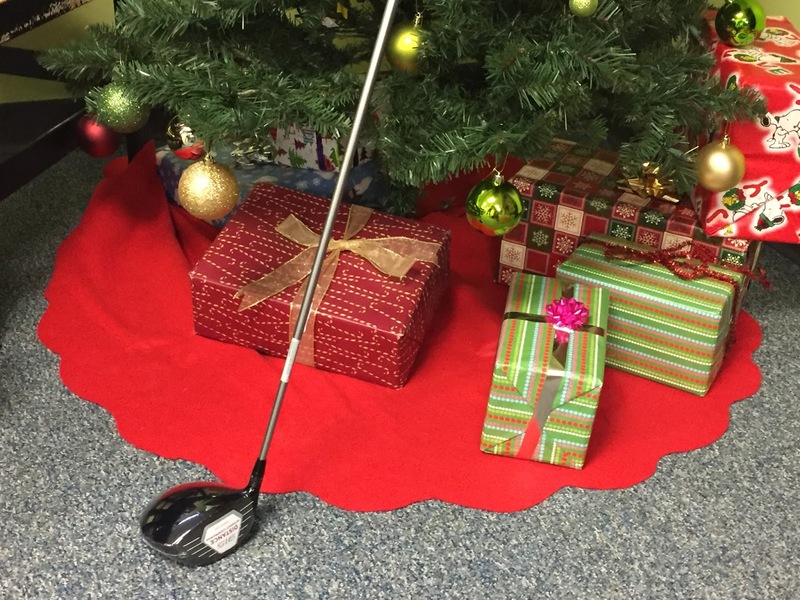 Win this driver during the Cumberland Valley Gift Guide! Snazzy Giraffe in Mechanicsburg offers unique children&apos;s toys and books, including a combo for the book "Don&apos;t Feed the Worry Bug" with matching stuffed animal. This set costs around $36. Give the gift of hand-crafted items available at the "2016 Best Shop in the Valley" Village Artisans Gallery. 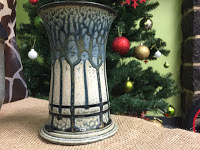 Find one-of-a-kind artwork, jewelry, and items like this vase to the right, which goes for about $30. The beer enthusiast on your list will love this one! 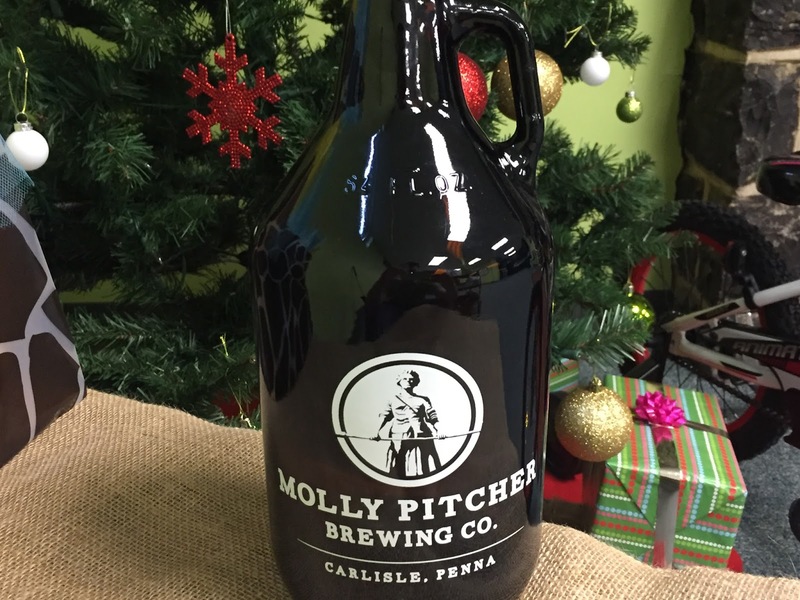 Molly Pitcher Brewing Company in Carlisle offers locally-crafted beer with history twist. Named after the Revolutionary War heroine (whose memorial is just steps away), the Molly Pitcher Brewing Company was recently voted "Best Nightlife in the Valley." Any beer lover would enjoy this Growler and gift certificate to fill it. You can&apos;t forget about your four-legged friend this holiday! Doggie Delights at the West Shore Farmers Market sells fresh dog treats and snacks, they&apos;ll be sure to love. Enter to win this pack of dog treats, even same kale-flavored treats. 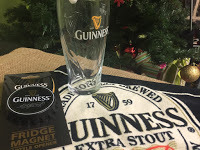 Oxford Hall Celtic Shop in New Cumberland specializes in authentic Irish and British gift items. 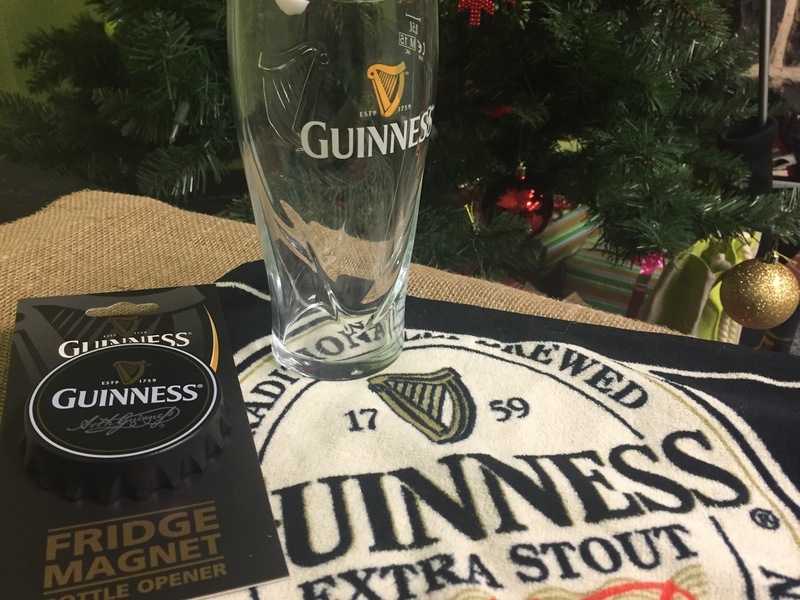 One of the many things you&apos;ll find in the store is a selection of Guinness items, perfect stocking-stuffers for fans of dark beer. Do you have a car enthusiasts on your list? Get them the gift they get to experience throughout the year with passes to the CarlisleEvents car shows. This pass gets you in for all of the fun at shows like Spring Carlisle, Ford Nationals, Corvettes at Carlisle, Fall Carlisle, and even shows in Allentown, PA and Florida. Each pass costs $80, but you could win two passes in today&apos;s Gift Guide Contest. See the upcoming Carlisle Events schedule here. 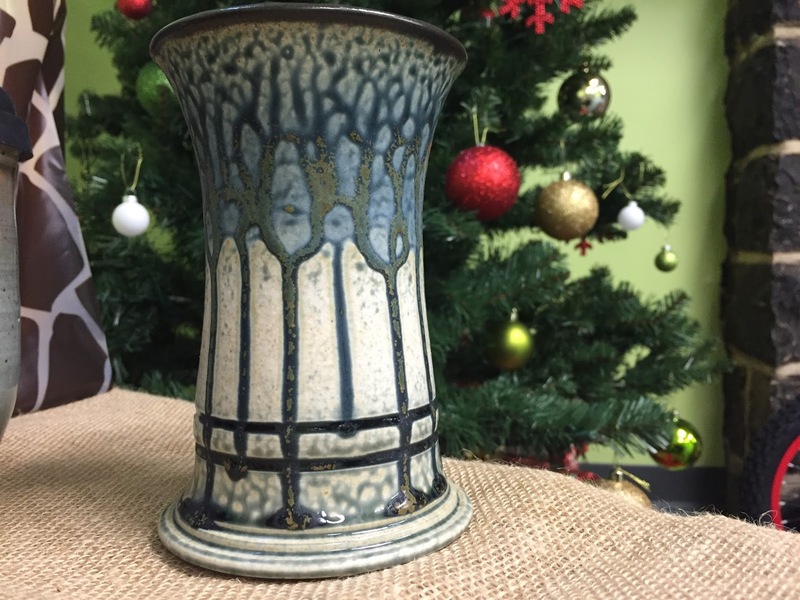 American Artisan Gallery in downtown Carlisle has been named Best Shop in the Valley for 2014 and 2015, and is a great place to find unique, hand-crafted gifts this season. 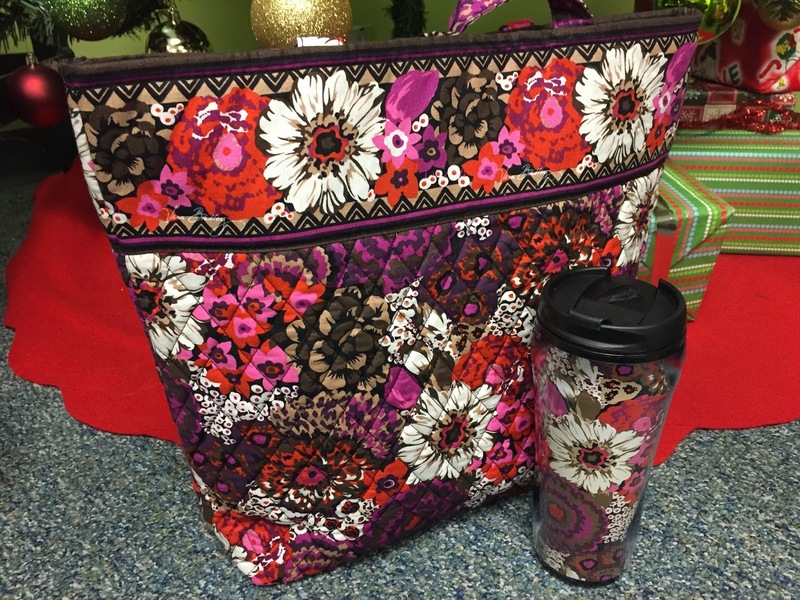 This travel mug is a great stocking stuffer for that person who is always on the go. .
Shopping for someone who loves fashion? 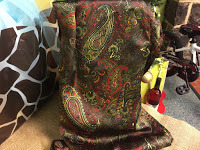 East meets West Emporium in Shippensburg features a large collection of Sorrelli and Vera Bradley. The Vera Bradley selection includes backpacks, handbags, travel accessories, and more. 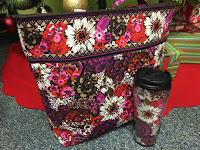 You can match several items together, creating the perfect set, like this tote and tumbler. Blooms by Vickrey in Camp Hill offers beautiful flowers, boutiques, and elegant home decor items. 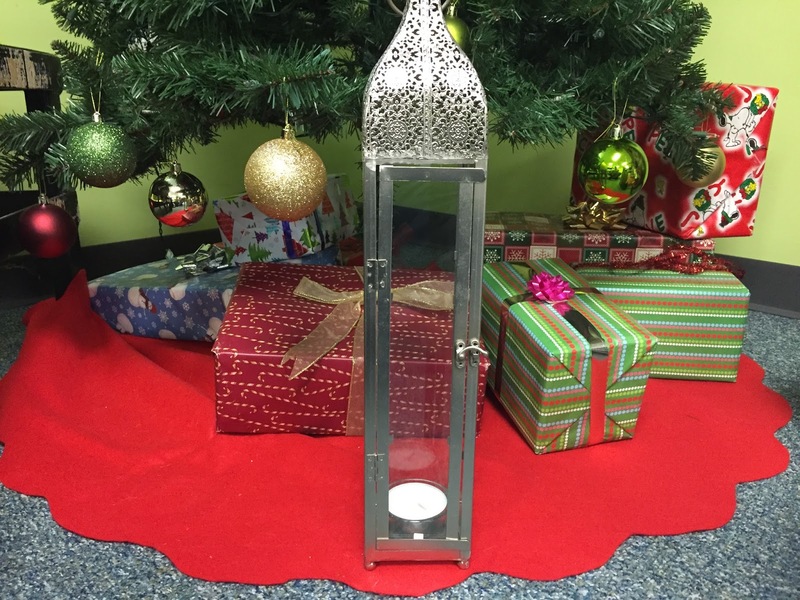 This decorative lantern is sure to light someone&apos;s face this year if you give it as a present. The lantern goes for around $40. Shop for the wine &apos;connoisseur&apos; on your list and give them the ultimate wine night from Castlerigg Wine Shop. 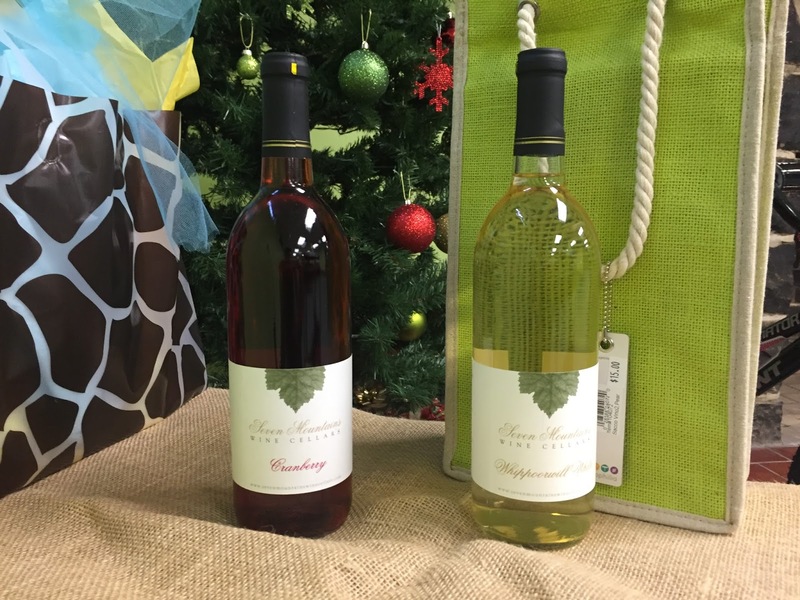 Castlerigg offers wine from Seven Mountains Wine Cellars and The Vineyard at Grandview. Castlerigg also has a gift shop, where you&apos;ll find all of the essentials. Enter the Gift Guide contest to win two bottles of wine and some accessories. Pick-up something stylish for someone with style on your list at Leaf of Eve. 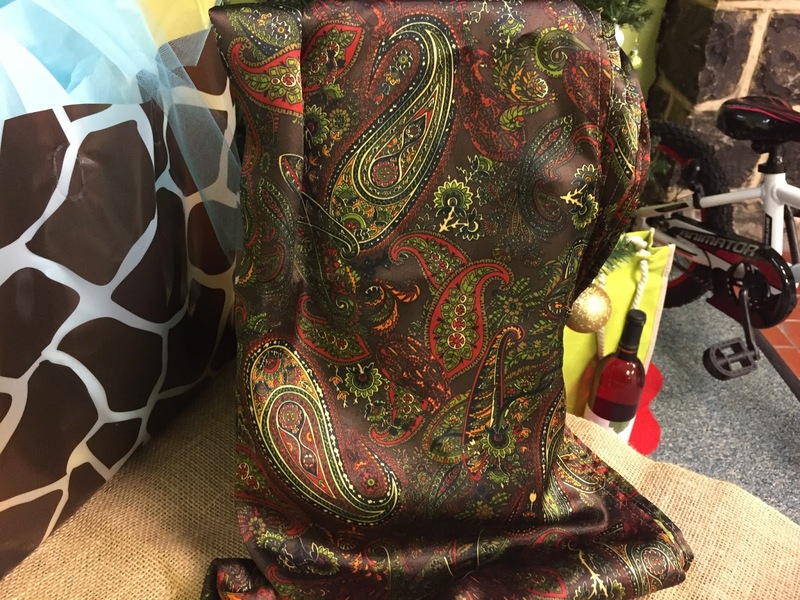 Shop for clothes, jewelry, and accessories, including this scarf at their shop in Enola. A night away from home at a luxurious B&B is the perfect gift for your significant other to get out of town, or even for your family coming into town. The CarlisleHouse is the 2016 Best in the Valley winner for Best Place to Stay and many guests rave about their time stay. Give the gift of a downtown Carlisle experience! Every day from Saturday, November 21, 2015 through December 11, 2015, the Cumberland Area Economic Development Corporation (CAEDC) will be giving away one prize per day on the Cumberland Valley PA Facebook and Twitter page. Each prize will be a showcased gift that visitors can purchase at locations in the Cumberland Valley. 1. ENTRY: No purchase necessary to enter or win. Contestants will enter by liking, sharing, and commenting on the Cumberland Valley PA Facebook page’s post on the daily prize and/or by retweeting the post on Twitter. 3. WINNER SELECTION: Winners will be selected for each post within two business days of the entry. Winners will be randomly selected from a list of followers who shared, liked, commented, and retweeted the post. 4. PRIZES: There will be one prize and one winner per day. The prizes may range in value from $1 - $200. a. If the winner lives within 40 miles of the CAEDC office, it will be the responsibility of the individual to pick-up the item at the CAEDC office at 53 W. South St., Carlisle, Pennsylvania 17013. Prizes can be collected Monday – Friday from 8am-4:30 pm. There will be select days where award winners can pick-up their prizes at evening times. Each winner will need to coordinate a time with Aaron Jumper (aaron@visitcumberlandvalley.comor 717-240-7185) to pick-up their prize. All prizes must be picked-up by noon on December 18, 2015. 9. NOT ENDORSED BY FACEBOOK OR TWITTER: By participating in this contest, you acknowledge that this contest is in no way sponsored, endorsed or administered by, or associated with, Facebook and/or Twitter and release them from any and all liability arising from or related to this contest. The information you are providing for this contest is being provided to the Cumberland Area Economic Development Corporation and not to Facebook or Twitter, and will be used to notify you if you have won. 12. WINNERS LIST: The names of the winner may be obtained by sending a self-addressed stamped envelope to: Gift Guide, Cumberland Area Economic Development Corporation, 53 W. South St., Carlisle, PA 17013. A full list will be available on January 6, 2016.